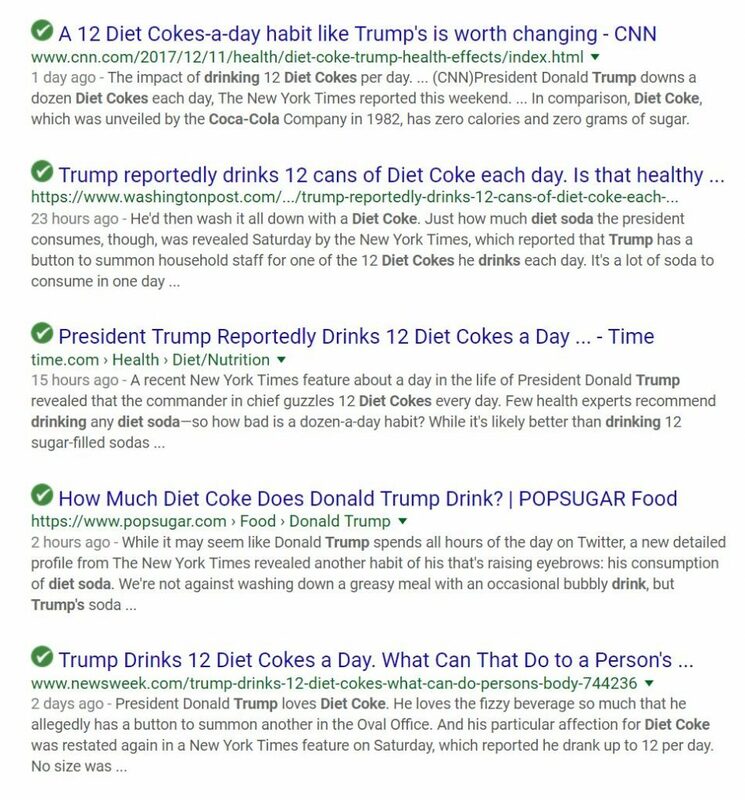 (TFTP) The mainstream media devoted a significant portion of its precious airtime to a groundbreaking report claiming that President Trump drinks 12 cans of Diet Coke each day. While that could be considered news, it does not seem nearly as important as the news coming out of the Middle East in response to a recent decision made by the Trump Administration. When Trump announced that he approved moving the U.S. embassy in Israel to Jerusalem, it received significant media coverage. However, as the fallout from that decision begins, the MSM has become increasingly distracted by reports on Trump’s diet, and how he could be harming himself. To the mainstream media, Trump drinking diet coke is more important than a US ally bombing children. It is no surprise that Palestinians would be angered by Trump’s decision, as it shows his preference for the state occupying their territory. A series of protests and riots broke out in the days following the announcement, and Israel responded with heavy military presence. – Today has been called a "Day of rage"
The rockets did not cause any injuries. It should also be noted that while Israel had not confirmed who was responsible for the bottle rockets at the time, the retaliation used by their military was deadly and affected dozens of innocent Palestinians. The airstrikes killed two Palestinians and injured at least 25 people, including six children, according to a report from Sky News. This comes after two Palestinians were shot and killed by Israeli officers during protests on Saturday. While drinking 12 cans of Diet Coke each day is far from a healthy habit, its newsworthy value pales in comparison to the aftermath of a crucial foreign policy decision made by the Trump Administration. In addition to moving the U.S. embassy to Jerusalem, the U.S. has begun giving Israel $3.8 billion each year in the largest military aid deal in U.S. history—thanks to a deal signed by the Obama Administration. Adding to that, Trump promised Israel another $75 million in aid in September, serving as a reminder that each airstrike Israel uses against Palestine is funded by American taxpayers.